Abstract: Airwheel H-series designed with four wheels has enabled it to be a perfect vehicle for the senior citizens. H8 lightweight power chair, as a new product of Airwheel, impresses users with the multi-function and dual ride modes. The eclectic scooters have become an integral part of many people's life and it is a commuting vehicle, a playmate and a partner and more. Airwheel H8, as a new product of H-series, impresses users with the multi-function and dual ride modes. Users can manipulate H8 electric wheelchair to go forward, make turns or brake by simply pushing the joystick. Moreover, it is able to carry the daily necessities thanks to the 30 L storage box, making parents go shopping easier. Airwheel H8 can be ridden either in standing posture or sitting posture. Riders are empowered to choose the most suitable and comfortable riding posture on different occasions. 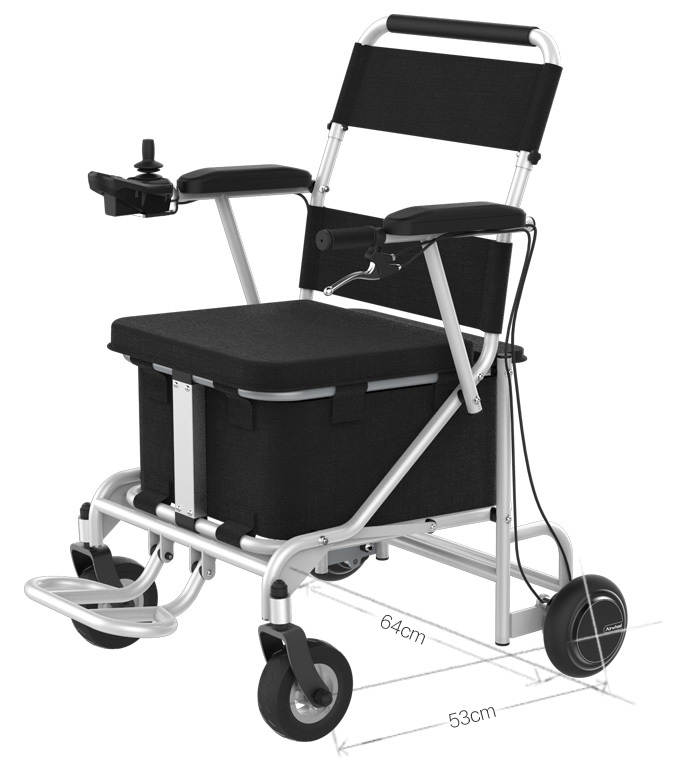 In the electric mode, H8 power and manual wheelchair allows riders to enjoy freedom, as they can go anywhere they want without other's help. It employs 162.8Wh li-ion battery core. Furthermore, a li-ion battery contains no toxic substances and is thus honored green battery. In addition, a lithium battery weighs much lighter than the lead battery and can cycle for a great number of times. 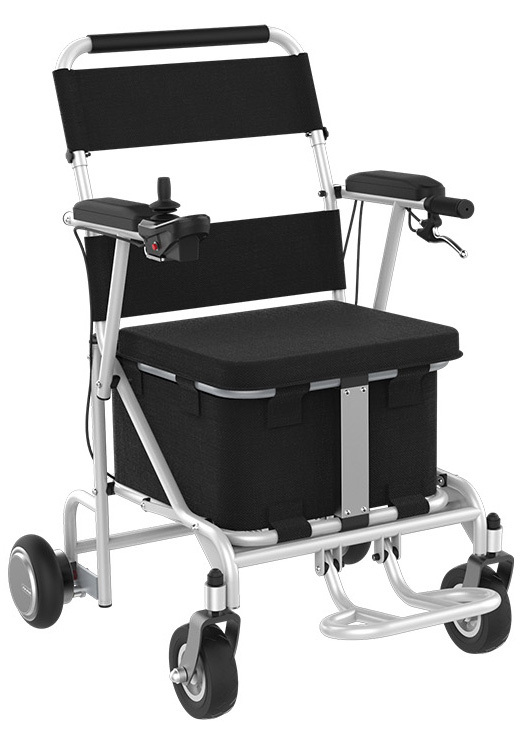 With good low-temperature performance of such batteries, H8 power chair can work between -15℃ to 50℃. If riders choose the manual mode, they can enjoy the families' and friends' company. Airwheel H8 installs 6 inch front tires and 6.5 inch rear tires, which allows it to negotiate varied and rugged terrains. Besides, four wheels contribute to larger grid and friction between the tire and the ground, so that users are assured with higher level of safety. Its Omni-directional wheel design ensures a more flexible operation as the wheels can be turned 360°. Moreover, H8 is equipped with an in-built intelligent system to achieve dynamic and ensure safety of users. Its mobile App makes H8 smart chair more appealing. Besides learning the real-time time, it empowers riders to remote control it. In a word, opportunities are endless with the Airwheel and give the H8 a try.